Beth is dually licensed in New Jersey and New York and nationally certified by The National Certification Board of Massage and Bodywork (NCBMTB) as a massage and bodywork therapist. She completed over 1,000 hrs of required training from the former Healing Hands Institute in Westwood, NJ which included training in Advanced Shiatsu, Sports Massage, Pre and Post Natal Pregnancy Massage, Swedish, Deep Tissue, Reflexology, and more. She maintains regular continuing education including training in Tuina Chair Massage, Core Myofascial Therapy, and more as well as CPR/AED for Adults, Pediatric and Infant and First Aid through Red Cross. She is certified at the Techniques Level for Craniosacral Therapy which includes SomatoEmotional Release and Mouthwork techniques through the Upledger Institute, based in Palm Beach, Florida. 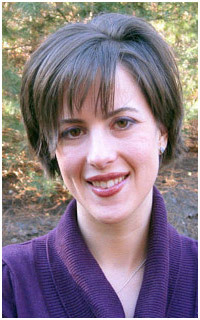 She began practicing Craniosacral therapy in 2005 and became a teaching assistant with the Upledger Institute in 2011. Beth is trained in the Ingham Method of Reflexology taught by IIR (International Institute of Reflexology). As of 2004, Beth has eight years massage and bodywork experience within hospital, spa, sport and office environments including Integrative Medicine at Morristown Memorial Hospital in Morristown, NJ, Atlantic Health’s Healthy Lifestyles Center in Montville, NJ, Fountain Spa in Ramsey, NJ, Equinox Fitness Gym in New York City, Fabulous Fatigue Fighters, Massage At Work USA, New England Workplace Therapies, Pampered Spirit New Jersey, Bergen Regional Medical Center in Paramus, NJ, AMTA NJ Sports Massage Team, and AMTA NJ 2009 Delegate Team. Beth earned her Bachelor’s degree in Psychology from the College of New Jersey in 2001 and worked for five years as a human resources representative in areas of staffing, corporate compliance and performance management at WebMD (also known as Emdeon). Beth currently practices Swedish Massage, Deep Tissue Massage, Sports Massage, Pregnancy Massage, Craniosacral Therapy including SomatoEmotional Release and Mouthwork, Reflexology, Shiatsu, Chair Massage and Raindrop Technique with Young Living Oils. 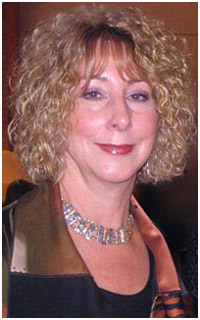 Beth is a member of the following organizations: NCTMB (National Certification Therapeutic Massage and Bodywork), AMTA (American Massage Therapy Association), AMTA NJ (American Massage Therapy Association – New Jersey Chapter), IAHP (International Association Healthcare Professionals), and IIR (International Institute of Reflexology). Gloria is a Reiki Master and Eden Energy Medicine Advanced Practitioner. She originally studied with Bobbe Free in 1987, who received her master training from Phyllis Lei Furumoto, who received her master training from Mrs. Hawayo Takata, student of Chujiro Hayashi who was a student of Dr. Mikao Usui. She also became certified as a practitioner in MariEL in 1988. In 1997, she co-founded a school in Virginia called "Commonwealth Academy" a school for students with various learning styles. Over the last decade, she ran a parent group and attended IEP meetings to advocate for educational services to help learning disabled children. In 2009, she received Advanced and Master level Reiki training from William Lee Rand, Reiki Master Teacher from the International Center for Reiki Training (see William Lee Rand's lineage here), became certified as a Vibrational Medicine Sound practitioner through the former Being in Balance Center of Nutley, NJ by Jovita Wallace and joined her daughter, Beth, at The Rainbow Essence in Oakland, NJ. In 2011, she completed a 2 year Energy Medicine certification program with Donna Eden and became a teaching assistant for Donna Eden’s Energy Medicine workshops. At her graduation, Gloria was awarded with the most inspiring case history regarding energy medicine techniques used with a hospital patient. Gloria has completed 4 years of training for Eden Energy Medicine and is an Advanced Eden Energy Medicine Practitioner. She is also an authorized Eden Energy Medicine for Women instructor. Additional background training includes PSYCH-K facilitator and also Level 1 and 2 of Matrix Energetics. Gloria currently practices both Reiki and Eden Energy Medicine. Gloria is a member of the IARP (International Association Reiki Professionals).